Do you need to insulate your home? Need a builder for a residential new construction project? 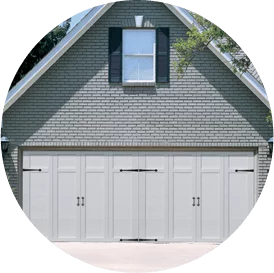 Overhead Door Co. of Burlington can help! A part of the Installed Building Products family, we add energy efficiency, comfort and value to new and existing Burlington, Vermont area homes with high-quality insulation solutions. Choose Overhead Door Co. of Burlington when you quality insulation services done by a team of professionals with years of experience! Dial (802) 448-4752 or contact us online today! Fiberglass: Fiberglass insulation, which has been used to insulate homes for decades, is one of the most commonly installed types of insulation and works well in multiple areas of a home. It is available in batt and blown-in form. Radiant barrier: Installed in attics under the roofline, radiant barriers help your home reflect (rather than absorb) heat from the sun and keep interior living spaces cooler and more comfortable. Cellulose: Made of up to 85% recycled content, cellulose insulation is one of the most environmentally friendly types of insulation available, and it also offers excellent soundproofing capabilities. We’ve worked with many local builders and contractors on new home construction and addition projects. The insulation we install helps ensure new homes being built are as energy-efficient as possible for future homeowners. Insulating your home can help you save money, live more comfortably, reduce noises from outside and improve your HVAC systems’ performance. Our insulation contractors have experience insulating attics, walls, garages, ceilings, floors, crawl spaces, basements and more. Overhead Door Co. of Burlington has been offering insulation services to customers in the Burlington, VT area since our doors first opened in 1948. Since then, we’ve strived to maintain the level of quality our neighbors have come to love and expect. No matter your home insulation needs, our team has you covered. From attic insulation upgrades to wall re-insulation, we do it all. Get in touch with Overhead Door Co. of Burlington today to learn more about our services or if you’re ready to install insulation in your home!